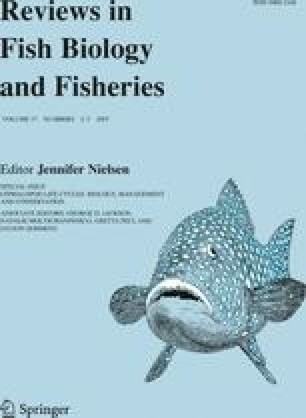 Statolith size and growth was used to determine the influence of abiotic factors on the growth of Loligo vulgaris and Sepioteuthis australis embryos. Recently spawned egg masses collected from the field were incubated in the laboratory under different levels of light intensity, photoperiod, or short periods of low salinity (30‰). Double tetracycline staining was used to follow statolith growth. In L. vulgaris constant light conditions produced significantly slower growth in the embryonic statoliths and embryos held at summer photoperiod had slower statolith growth than those held at winter photoperiods. However once they hatched out there was no evidence that photoperiod affected statolith growth. After hatching, in all photoperiods statolith growth rates decreased in comparison with late embryonic rates. In S. australis embryos, differences between the high and medium light intensities for summer and intermediate photoperiods were found, suggesting that under summer incubation temperature, longer daylengths at medium light intensity favoured higher statolith growth for this species. In comparison to controls, slower statolith growth in S. australis embryos due to low salinity only occurred when exposed for 72 h. Comparison with previous studies indicates that temperature seems to be the main abiotic factor influencing statolith growth during early stages, however, interactions among all abiotic factors needs to be determined as well as the unknown influence of other isolated factors, e.g., oxygen concentration within the egg mass. The work undertaken by RV and AB at the University of Tasmania was supported by the Spanish Ministry of Science (Programa para Movilidad de Investigadores and postdoctoral fellowship, respectively). This work was supported by grants from the European Commission (Cephstock Concerted Action) and the University of Tasmania Merit Grants Scheme.